4 Man Bowling Team Needed! The bowling season is right around the corner and we are gearing up for all of our fun bowling leagues to begin! 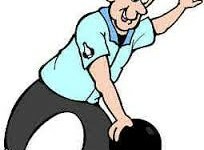 We have an opening on Wednesday Nights for a 4 Man Bowling Team!